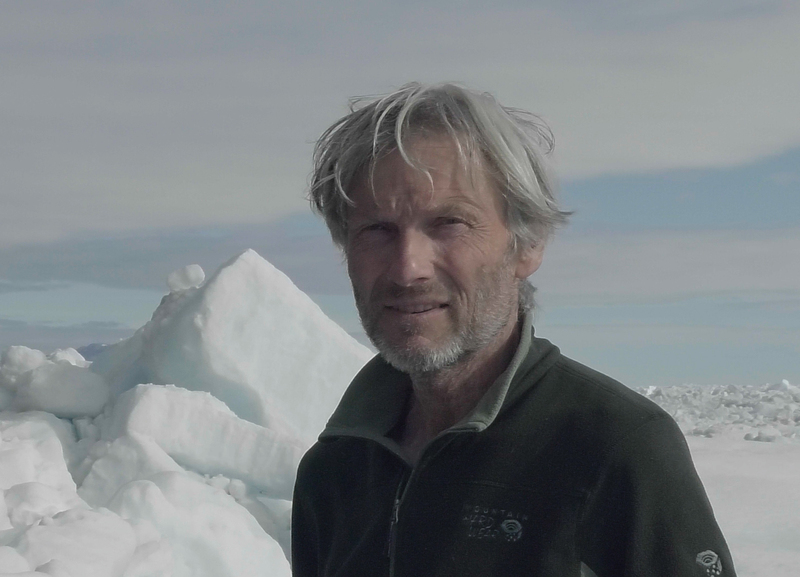 Stephen Smith has been engaged in Arctic exploration and research since the late 1970s. Originally trained as a biologist, he has three decades of experience in polar wildlife research, including four months in Antarctica studying the diving behavior of Emperor penguins. For over two decades he led wilderness expeditions in the Canadian High Arctic and Northwest Greenland — more than fifty of them in all. 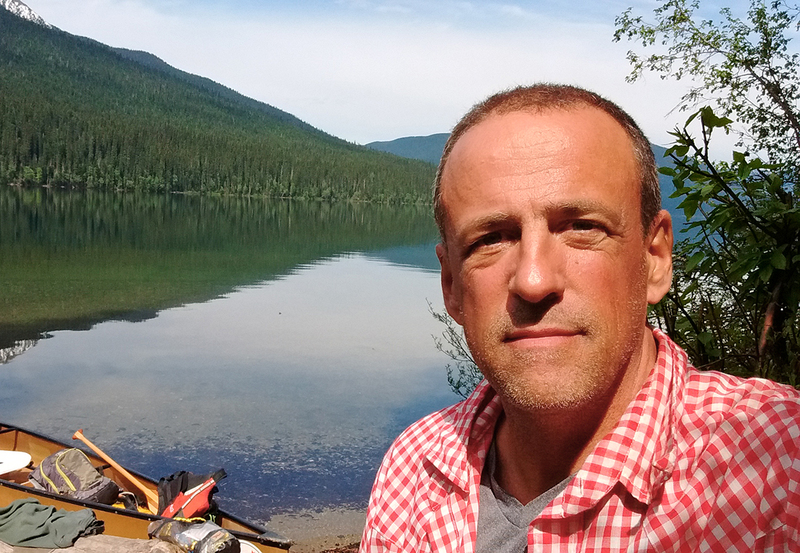 In 2004 he was Director of Operations and Expedition Leader on the Adolphus Greely retrospective Abandoned in the Arctic, a High Arctic documentary project involving a five-week kayak expedition through Nares Strait. Stephen’s films have been informed and shaped by the intensity of his experiences on polar ice. His recent feature Vanishing Point (finalist for Best Documentary Award, 2014 Canadian Screen Awards; finalist for People & Nature Award, 2014 Panda Awards) bears witness to the challenges facing indigenous hunting culture in a time of declining Arctic sea ice. His wildlife and adventure photography has been published in books and magazines such as Natural History, Outside, and National Geographic. “Enduring Ice is the most important project I’ve ever taken on”, he says. “There’s never been a time when the Arctic has been of greater importance and relevance.” Stephen is a fellow of the Royal Canadian Geographical Society and a member of the Directors Guild of Canada. Christopher Horvat is a polar oceanographer who studies the impact of the rapidly changing Arctic Ocean on ecology and climate. His earliest hands-on experience in the Arctic was as a researcher aboard the Coast Guard Cutter Healy in the Chukchi Sea. A NOAA Climate and Global Change and Voss Postdoctoral Fellow at Brown University, much of Chris’s work is motivated by the need to understand the links between the Earth’s natural and human systems. He is especially interested in large and small-scale climate processes in relation to sea ice cover and ocean circulation, climate processes such as sea ice albedo feedback. One area of his research combines observational findings with predictive modelling to measure and analyze the influence of winds and currents on Arctic ice floes. “As the Arctic Ocean becomes less ice covered there’s going to be more open water, and that means bigger waves and swells”, he explains. Exploring polar seas from an expedition kayak is his opportunity to investigate in situ what an oceanographer or climate scientist would normally only be able to study in a lab. For Chris, Nares Strait is the ‘last frontier for sea ice’, a place where thick and expansive ice floes are still able to persist throughout the year. “My research interests are directed towards uncovering new ways of understanding climate while we still have time. Our ability to see and feel the consequences of rapid Arctic change may be melting away”. Chris Horvat received his PhD in Applied Mathematics from Harvard University. Diana Kushner is an organic farmer from Rhode Island. With a background in ecology, and a passion for the outdoors, she became a farmer by accident. While studying the effects of farm chemicals on ground water, she became addicted to growing plants and driving tractors. Since 1999, Diana has run Arcadian Fields, an organic vegetable farm that specializes in greens, and sells locally at farmers market and to restaurants. She finds that farming is getting harder in the face of new curve balls being thrown her way by climate change. Each year there are new pests and diseases, and crops are now being wiped out on a regular basis. Spring comes earlier, Fall arrives later, and rainfall is unreliable. Dreaming of wild places gets her through today’s hotter, longer summers; getting out into the wilds sustains her. Every winter she slips away from the farm for outdoor adventure. She met her husband, Stephen Smith, on a journey along the edge of the Patagonia Icecap. 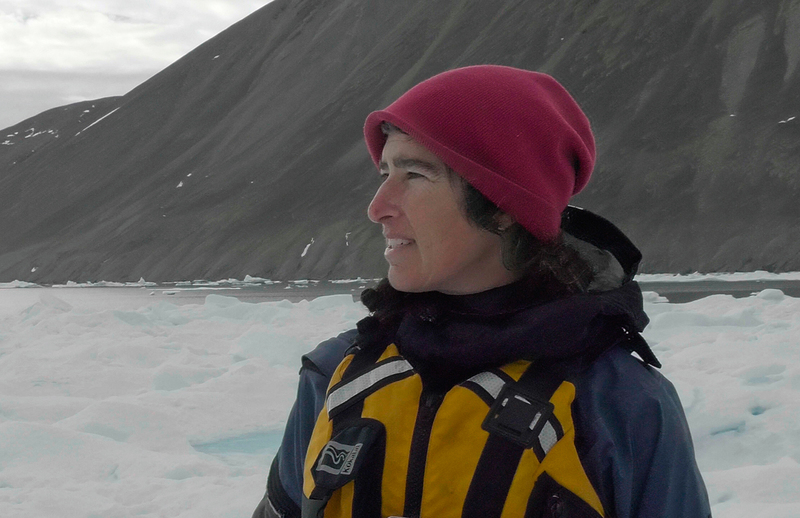 Diana is an avid hiker, a big reader, and obsessed with ice and the Arctic. She has made three trips to the Nares Strait area of Ellesmere Island. Michael Dillon is not your typical Silicon Valley lawyer. Before taking on the job of Executive Vice President and General Counsel of Adobe Systems Inc., Mike rode his touring bike from Florida to California. His goal was to get home, but on the way he learned a lot about himself, and a lot about recession-hit America. In his book, Changing Cadence, Mike shares his reflections from this journey. When he’s not shaking things up at Adobe — banning the use of acronyms and legalese, creating open work environments, designing leading-edge strategies for collaboration — he is off on high adventures. Mike is serious about exploring wild country, and has an incorrigible enthusiasm for self-propelled travel. 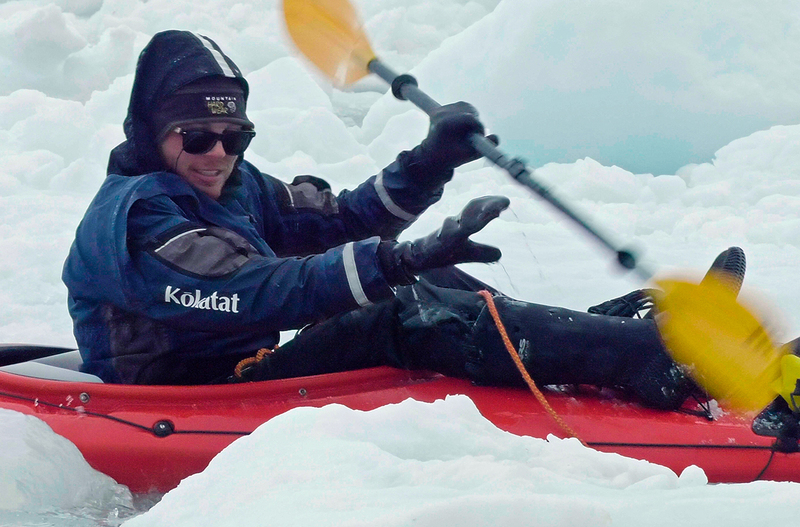 He got hooked on Arctic kayaking by joining an expedition into Nares Strait with Stephen Smith in 2001. An adventurer to the core, he’s been dreaming about other trips there ever since. But his real derring-do is as a corporate attorney and as executive sponsor of Adobe’s Sustainability commitment. His one-line blog bio, “Under Construction. No, seriously, I’m a work in Progress”, leaves you wondering: can this be the same Mike Dillon, chief legal officer at Adobe? 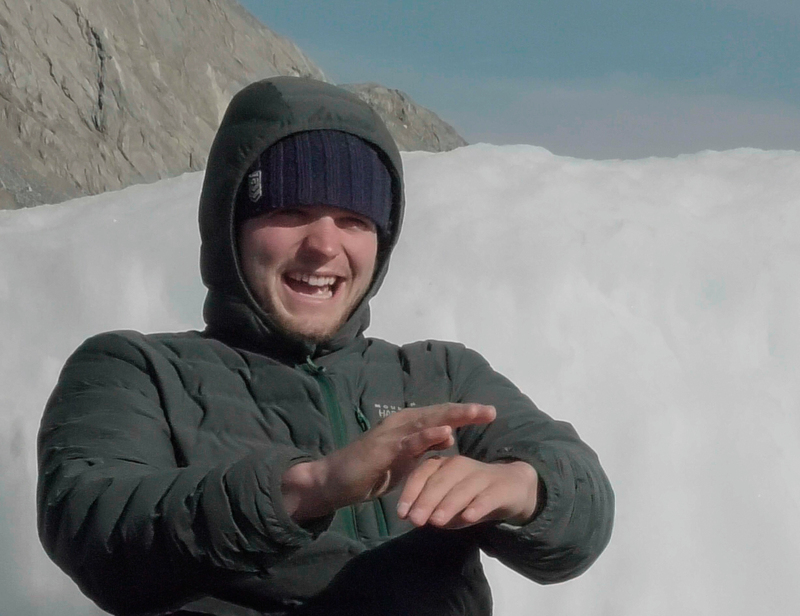 Scott Simper is no stranger to the Arctic. 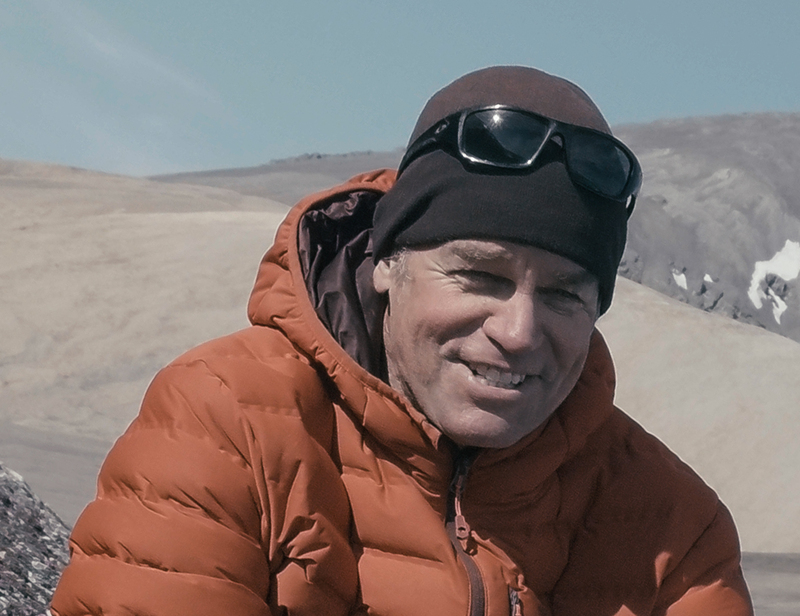 A cinematographer on expeditions from Alaska to Ellesmere Island and southeast Greenland, Scott made his first kayak expedition through Nares Strait while on assignment with director Stephen Smith’s Abandoned in the Arctic team in 2004. An Emmy Award winning Director of Photography (2012), his passion is to bring in stories from the far corners of the natural world. His favorite projects to work on have to do with the impacts of climate change on ecology and indigenous lives. 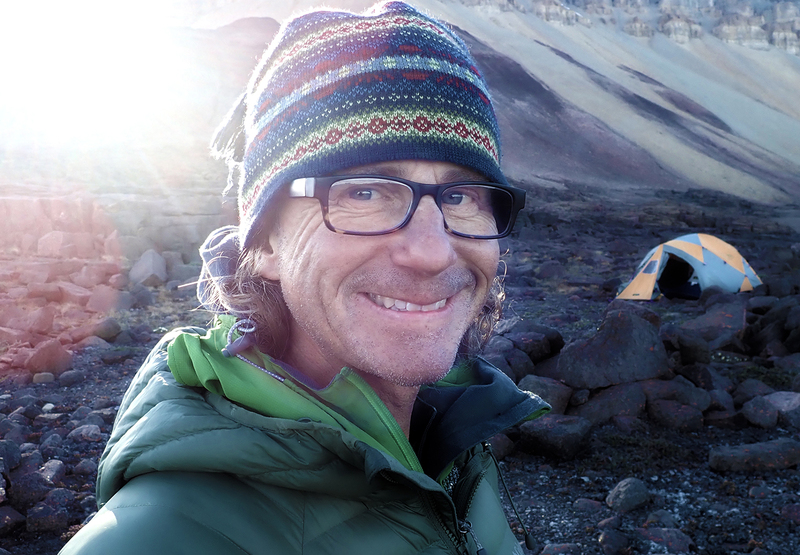 Scott’s camera work — under hire to production houses like National Geographic, History Channel, Animal Planet, Discovery Channel, PBS, and Red Bull Media — has taken him from the summit of Mount Everest (twice in fact!) to the jungles of Africa, and from the Australian outback to Antarctica. Known to crawl into hives of giant wasps and to descend into bottomless caves, he has camera credits on many features and documentaries, including Everest and The Giver. A climber, skier, paddler and all-round athlete, Scottie is the friendly camera guy who combines difficult access with compelling storytelling. Bryce Dillon is from the Bay Area in California. He attends Gonzaga University where he is majoring in Environmental Studies, and minoring in Philosophy and Business — “so I am employable, ha-ha”. Growing up in suburban California, he has developed a love for the wilderness. For Bryce there is nothing more exciting and uplifting than getting out in nature. He devotes his free time to biking, kayaking, hiking, rowing, and photography of natural landscapes and the night sky. Bryce chose environmental studies as his major because he wants to understand humanity’s evolving relationship with the natural world: “how does the environment affect our culture and what affect does our culture have on the environment?” Bryce views climate change as the most pressing issue of our time: “It will continue to define our lives into the future”. This is his second trip to the Arctic. Fernanda Rossi is a producer and screenwriter based in New York. She has written six fiction feature-length screenplays and collaborated as co-writer on more than 500 documentary projects. Two of those documentaries received nominations for an Academy Award®. In 2016, The Memory of Fish was nominated for Best Screenplay for the Panda Awards®, known as the Oscars of environmental documentary films. Many of the films she contributed to as a writer were released theatrically and broadcast on BBC, HBO, PBS and other networks. Proposals and fundraising demos she has worked on have been awarded grants by the National Endowments for Humanities and the Independent Television Service among others. She has also published the book Trailer Mechanics on how to make fundraising samples, and over 200 articles on storytelling and the creative process. Scott Parker has been directing and editing music videos, commercials and documentaries for more than 30 years. Over the past decade he has focused on unscripted productions, giving special emphasis to the genre of long form documentaries. Scott has extensive experience with cinema verité. His collaborative approach and editorial skills have contributed to dozens of award-winning films, screened to audiences around the world. Holding a Master’s degree in Conflict Analysis and Management (always handy in an editing suite), Scott brings his knowledge of film, community and collaboration together in projects like The Grasslands Project (2016) and Vanishing Point (2014 Canadian Screen Award finalist, Best Feature Documentary). An adventurer and conservationist at heart, Scott once rode his motorcycle around the world, making his way end-to-end through the Americas and Africa, the Middle East and northern Asia. That journey kindled his interest in Africa, and he has spent a part of every year since working in remote corners of the Kalahari developing innovations in community-based tourism with local communities. When not fully engaged in editing or life in the African bush, Scott may be tracked down at some remote, quiet campsite.